Sanseiryu is a Chinese kata which was imported into the Kingdom of Ryukyu and integrated by various styles of Okinawan Karate such as Uechi Ryu and Goju-ryu, for example. Sanseiryu, literally “thirty six”, is written in kanji (Chinese characters) this way: 三 十六 The meanings as well as the characters remain the same whether they are in Japanese or in Chinese. Hi Perry, Yogi sensei is renting the dojo from the prefectural budokan to train with his students. If you’re in Okinawa you can pass by the budokan on monday morning, he’s usually there till 12 o’clock. 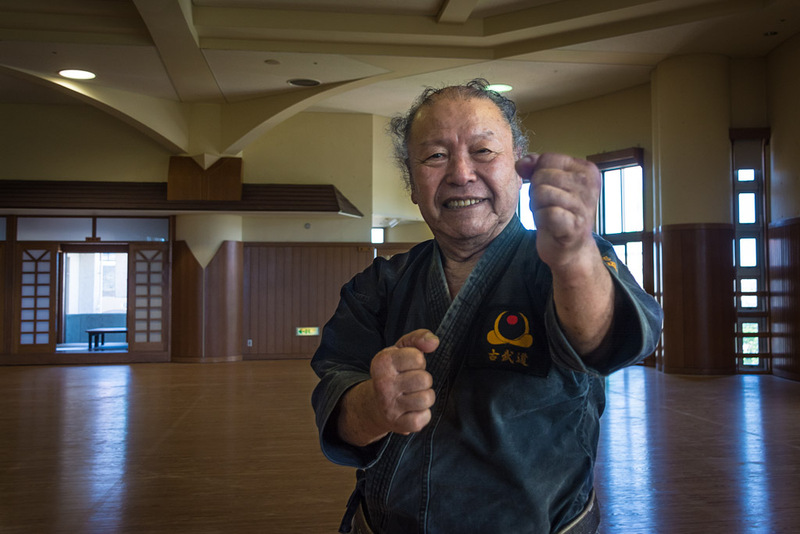 You can also reach the OKKB organization, they can help you to get in touch with him or with any other sensei in Okinawa. Nice fluid movements. I can see the Chinese crane form here. That night when Naka Tatsuya sensei taught me two mysterious tips in a restaurant!